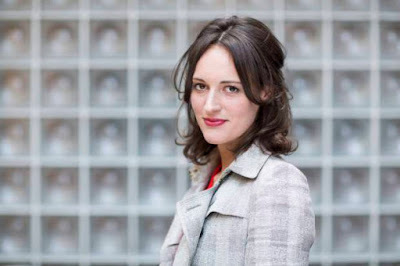 One of the many new faces we'll see joining the Star Wars galaxy in next year's young Han Solo film is Phoebe Waller-Bridge. The British actress is currently best known for the Amazon series Fleabag, which she wrote and starred in. Little is known about her role in Star Wars, other that it is reportedly to be a motion capture role along the lines of Maz Kanata and Supreme Leader Snoke in The Force Awakens. While she can't say much about the film, Waller-Bridge did speak briefly about the experience shooting the Han Solo film RTS 2017 Awards (where Fleabag picked up two awards). She called the experience, "Really fun – the most fun thing ever in the world! It’s so fun I can’t even bear it." She also spoke briefly about the challenges that come with working on such a secretive project, saying, "Yeah, it’s really hard. Especially after a day of it and I just come home and go ‘argh!’. I can’t even do anything!" The untitled young Han Solo film hits theaters on May 25th, 2018 and stars Alden Ehrenreich (Hail Caesar!) as Han Solo, Donald Glover (Atlanta) as Lando Calrissian, Emilia Clarke (Game of Thrones), Woody Harrelson (True Detective), Phoebe Waller-Bridge (Fleabag), Thandie Newton (Westworld), and Michael K. Williams (The Wire). The film is directed by Phil Lord and Chris Miller (The Lego Movie), with a script by Lawrence and Jon Kasdan.